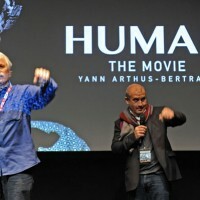 At MIPCOM 2014 in Cannes, Yann Arthus Bertrand presented a preview of the beautiful and vivid images of his new documentary film “Human”. 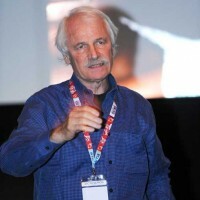 Yann Arthus Bertrand is the director of the worldwide hit film Home, released five years ago and seen by over 600 million viewers. After shooting its extension, 7 Billion Others, he left again for our pleasure to travel the roads of the world with his film crew to gather a wealth of poignant stories about the lives of people of our planet. 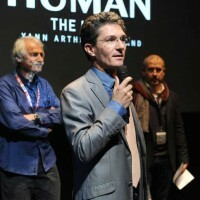 The first scene of the film “Human”, presented to the public at MIPCOM, in the presence of director Yann Arthus Bertrand, takes place in France, off the coast of Finistère, during the recent impressive storms in the country, especially in the West. 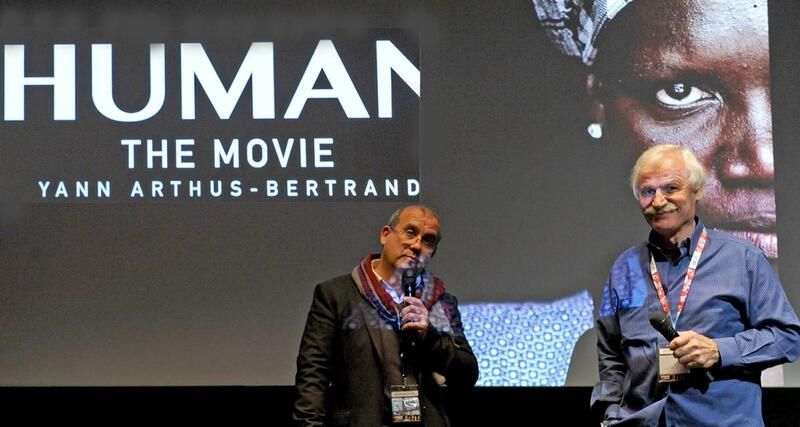 Yann Arthus Bertrand has had the idea for the film during a helicopter engine failure in Mali. He was then picked up by people from a village who told him their simple everyday life. On this occasion, he then learned a lot about humanity. For “Human”, he has made some 2,000 interviews throughout the world, mixed with stunning helicopter views, all for a great and profound message: we have to listen a little more and to love each other more. The film “Human” is part of a global logic, that beyond the documentary, aims at the emergence of a gathering of the various initiatives and knowledge related to the association, humanitarian, ecological and social world. A particular emphasis will be given to the music in the film; as for “Home”, it will be composed by Armand Amar. The release of this amazing collection of testimonies is scheduled for 2015 and will première on France 2 before being shown for free everywhere on the planet. In 2015, ‘Human’ will also be a great website where millions of Internet users will find hundreds of interviews and aerial unpublished images. To launch the project, Yann Arthus Bertrand wanted to find a place and a symbolic date. Through his commitment and the longstanding collaboration with various agencies of the UN and its Secretary General Ban Ki Moon, the launch of the film could then be decided at the General Assembly of the United Nations in September 2015. The film “Human” by Yann Arthus Bertrand is fully funded by non-profit and State-approved foundations.